On the fiftieth anniversary of "The Shot Heard Round the World," Don DeLillo reassembles in fiction the larger-than-life characters who on October 3, 1951, witnessed Bobby Thomson's pennant-winning home run in the bottom of the ninth inning. Jackie Gleason is razzing Toots Shor in Leo Durocher's box seats; J. Edgar Hoover, basking in Sinatra's celebrity, is about to be told that the Russians have tested an atomic bomb; and Russ Hodges, raw-throated and excitable, announces the game — the Giants and the Dodgers at the Polo Grounds in New York. 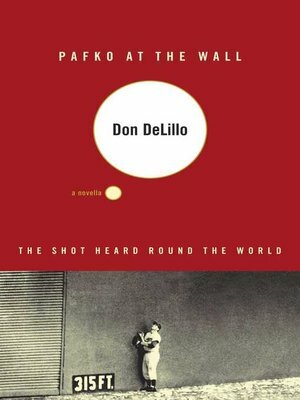 DeLillo's transcendent account of one of the iconic events of the twentieth century is a masterpiece of American sportswriting.